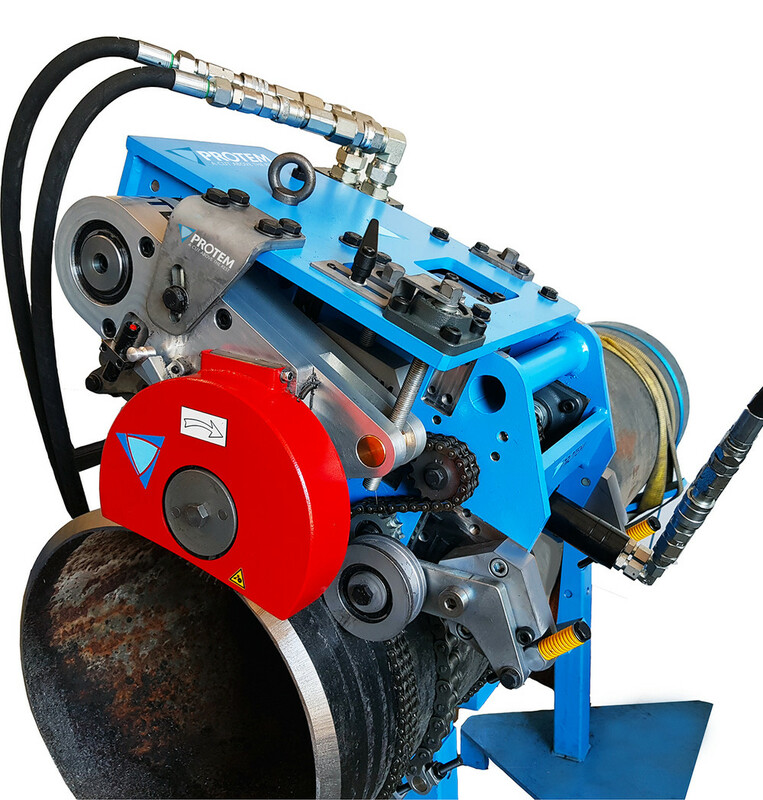 The OCM portable tube cutting machine is designed for cutting and beveling tubes to length from 6" in diameter (Ø168.3 mm) O.D. minimum and for wall thicknesses up to 2" (50.8 mm). Its independent beveling module is entirely adjustable and performs bevels from 0° to 90° without changing accessories. It was designed to be easy to use; Robust and reliable, it can be used on-site, in the workshop or in challenging environments. It has extension chains to clamp onto large diameter tubes.